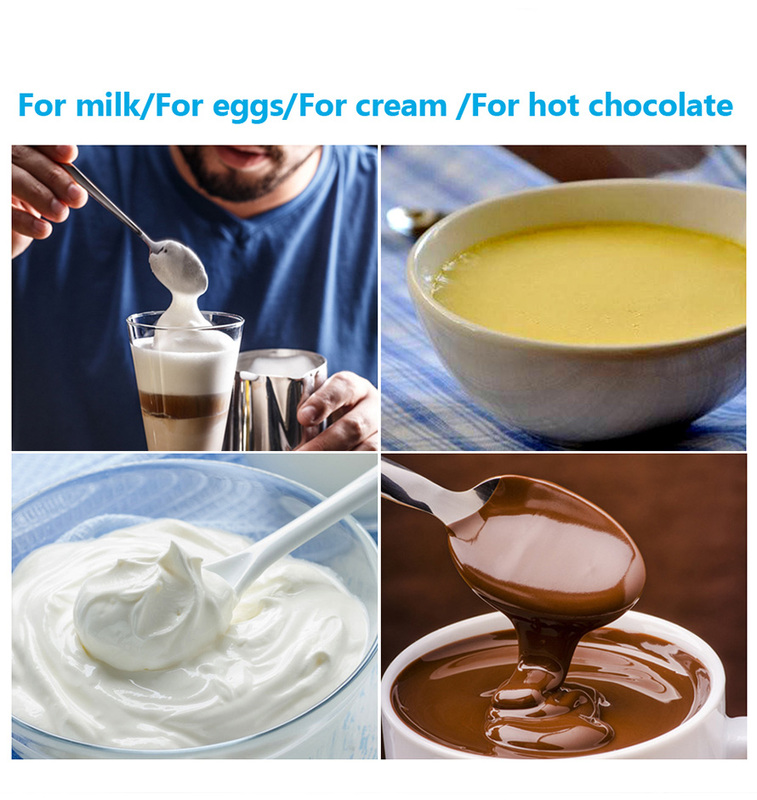 Great for hot chocolate, cream, milk, eggs, salad dressings, and powdered drinks like matcha tea. Stable, and no unwanted vibrations. 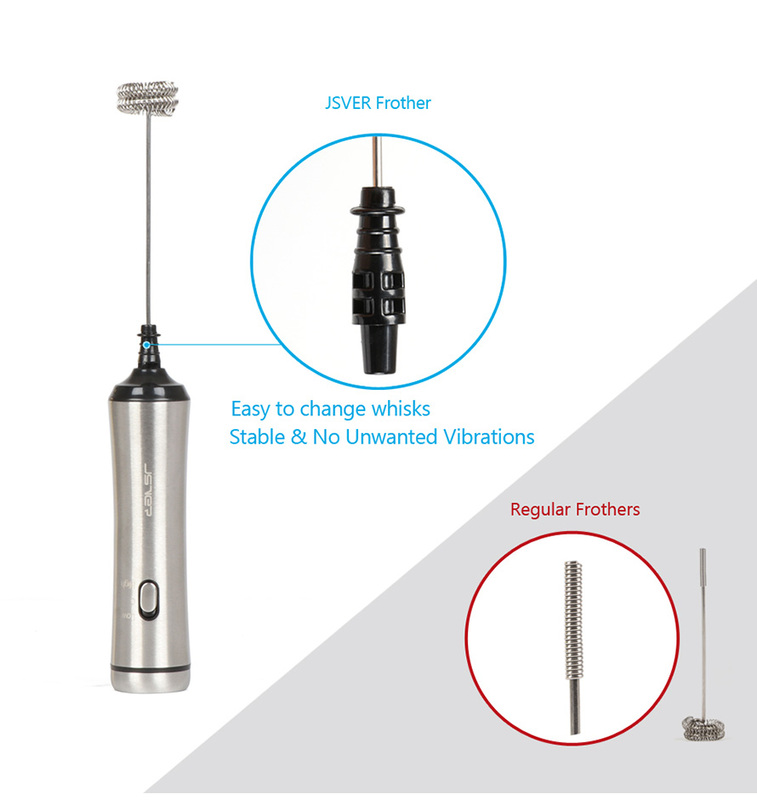 The frother is rechargeable from USB, so you dont have to replace batteries,which makes it economic and environmentally friendly. 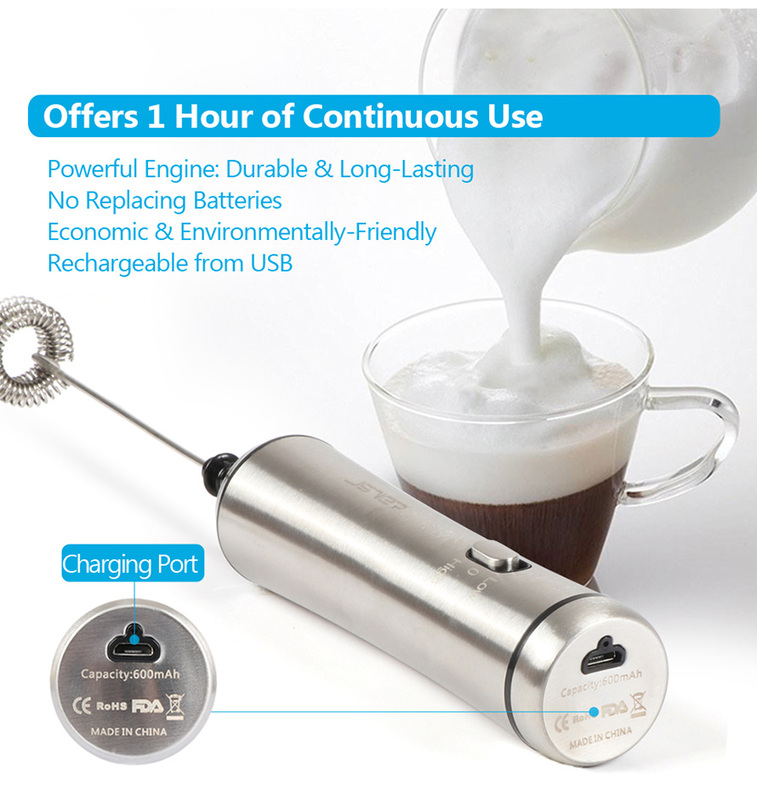 It takes about 1.5-2 hours to charge fully and offers 1 hour of continuous use. 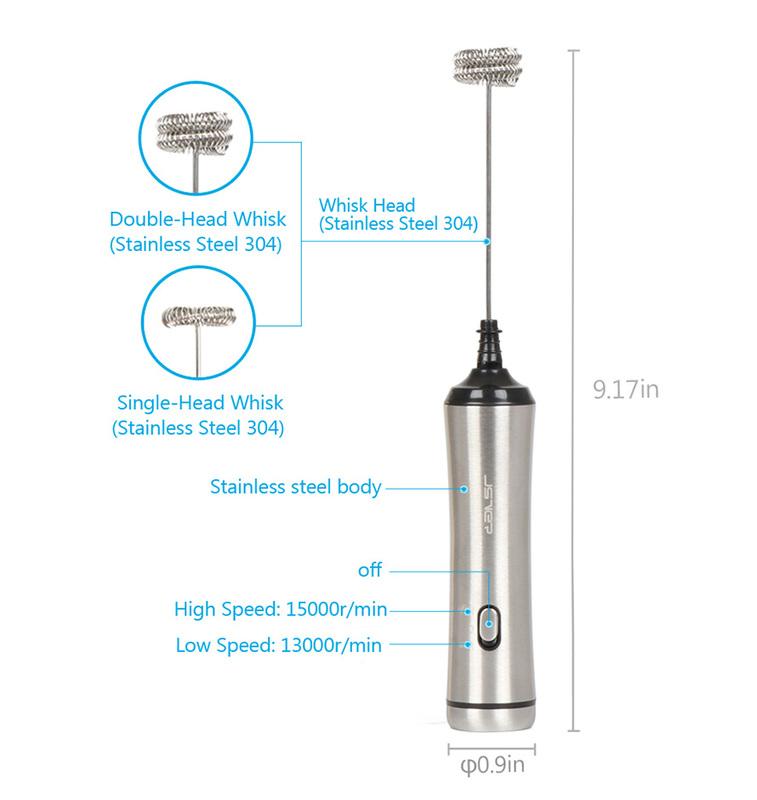 Comes with a single-head and a double-head whisk for different needs. 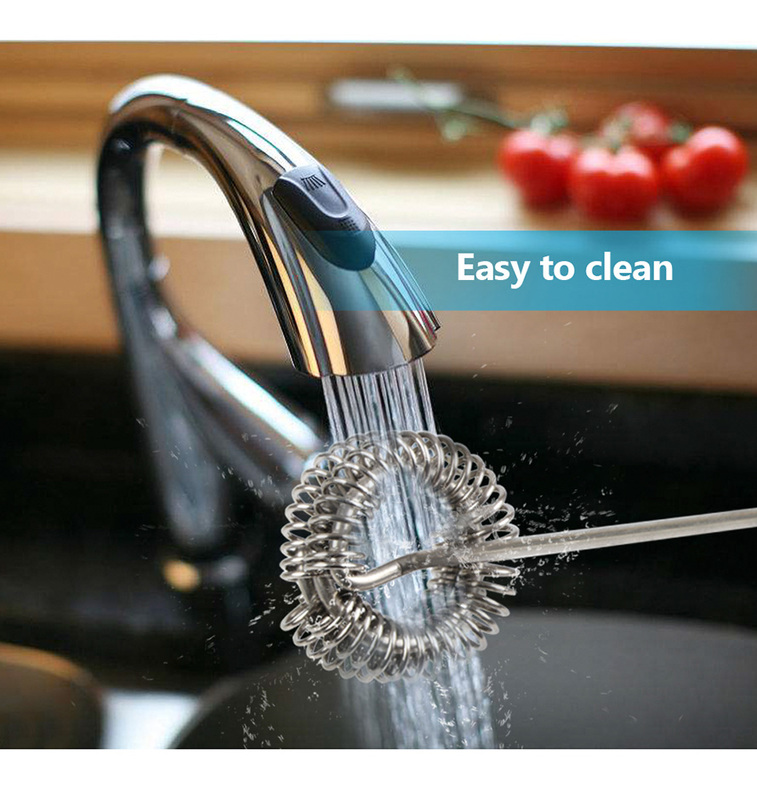 Its easy to change whisks: To remove the whisk, just pull out. There is no turning. And put the other whisk back in until you feel/hear the lock. Has two speeds (13000r/min & 15000r/min).For most cases, low speed is more than enough to froth your milk (cold or hot) fast. Stainless steel body: premium & durable. CE, ROSH & FDA marked. 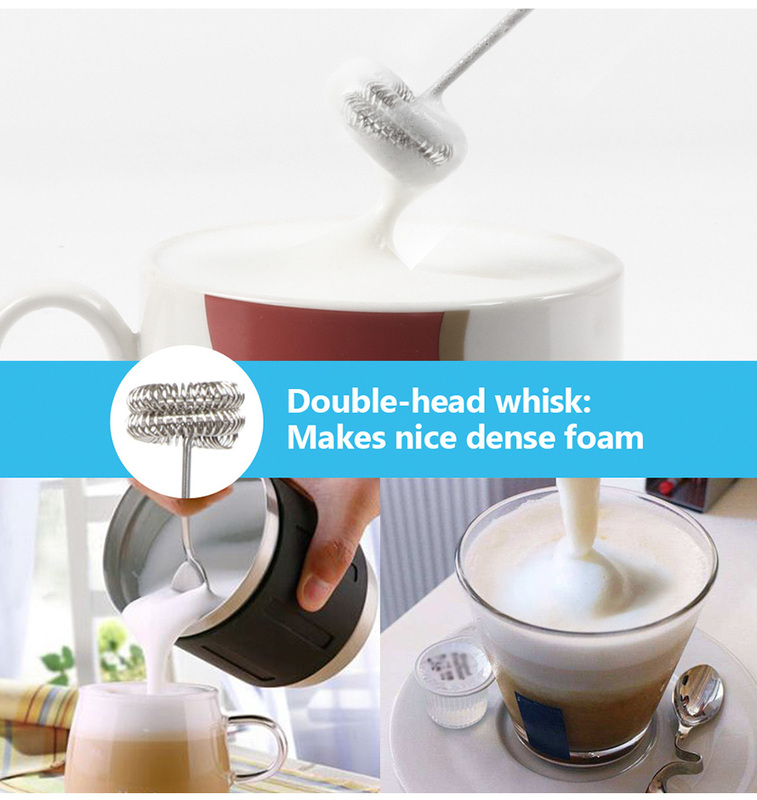 With this tool, you have a perfect latte or foam for your drink. To avoid splish-splash getting all over the place, please use a tall cup and put the frother into the container. The red LED indicator stays on when the frother is charging, and turns off when the frother is fully charged. 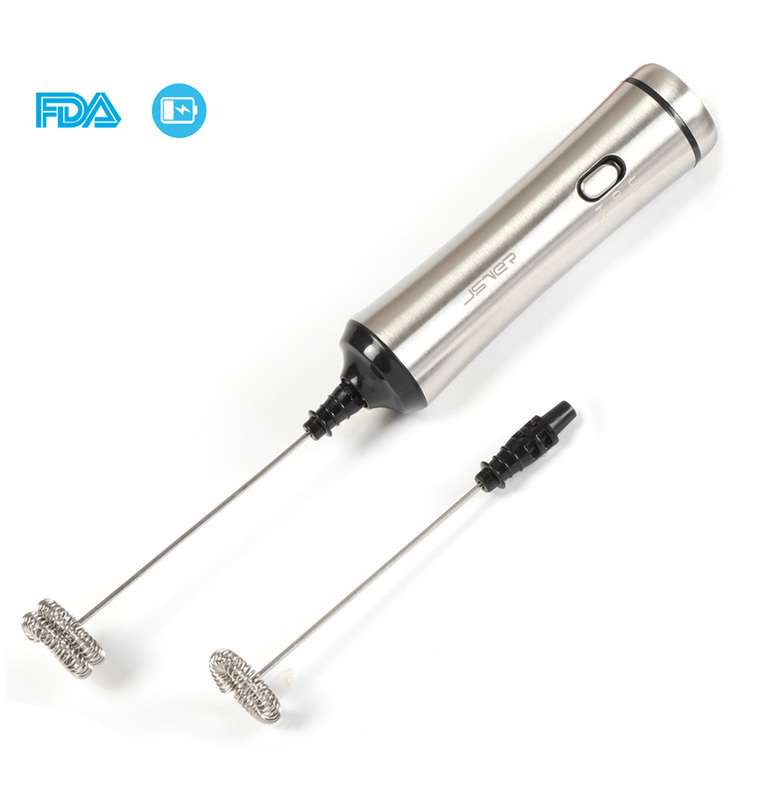 The main part of the frother is NOT waterproof. Please charge the unit before the first use.